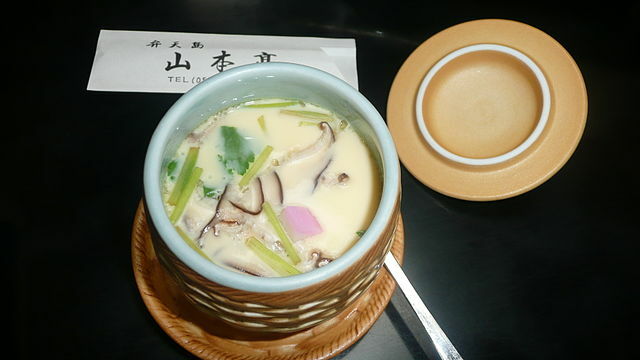 Whether you think of chawanmushi as an appetiser or a side-dish, you can’t deny how addictive that little cup of egg is. The steamed savoury egg dish from Japan is especially comforting on a rainy day—the silky, soft custard is melt-in-your-mouth, bursting with umami that warms your tummy up from within. Most people think that chawanmushi is hard to make at home, but we’re here to show you that it’s actually very simple if you follow our home-cooked chawanmushi recipe! The basic toppings included in this home-cooked recipe are shiitake mushrooms and chicken, but you can add additional ingredients like prawns and gingko nuts to make your meal a little fancier. Ingredients for home-cooked meals like chicken stock make cooking seemingly complicated dishes much easier. Get all your ingredients from Giant supermarket and whip a good cup or two of this savoury egg dish. Definitely something to add to your list of easy home-cooked foods to impress people! Make prepping easier by buying ready-to-cook ingredients and everything else you need at your nearest Giant supermarket. Slice shiitake mushroom and chop up chicken breast. In a medium bowl, whisk eggs gently while slowly pouring in the chicken stock, sake, and soy sauce, taking care not to let the eggs foam up. Divide the mushroom and chicken evenly between two small tea cups. Pour the egg mixture into each cup until filled. Bring about 2.5cm of water to a boil in a steamer or saucepan. Reduce heat to a simmer, and place cups into the steamer. Cover, and steam for 12 minutes, or until egg is firm but soft and silky like tofu. Garnish each cup with a sprig of parsley and serve. Tip: You can also use your rice cooker as a steamer. Fill the cooker with water and place the chawanmushi on a grill stand so that it doesn’t touch the water before running the normal cooking setting. Want more recipe inspiration for home-cooked food? See more easy recipes here and sign up for Giant Super Savers Club (GSSC) to keep updated on all our latest recipes and deals! It’s so easy, you just might skip the queues for good! Here are 10 amazing recipes for all the laksa-lovers out there! Having a drama marathon with friends? Here’s a super easy, crowd-pleasing hotpot to keep everyone’s hunger at bay!